FinFeed suggested last week that a robust first quarter result from 1stAvailable (ASX: 1ST) provided a strong platform for a promising first half performance, as well as indicating the company was on track to generate substantial year-on-year growth in fiscal 2017. The group’s shares responded accordingly, rallying 10% from the previous day’s close of 5 cents to hit an intraday high of 5.5 cents. While they have retraced slightly since then it has been under low volumes and a report released today by Foster Stockbroking suggests that its current price of 5.2 cents (closing price Nov 2) is well below market value. However, in the case of 1ST there is a yawning gap between its current trading range and broker valuations. Foster’s Darren Odell has a speculative buy recommendation on the stock with a 12 month price target of 14 cents. He is forecasting sales growth of 71% and 130% in 2017 and 2018 respectively. Odell expects 1ST to deliver a maiden EBITDA of $1.4 million in fiscal 2018 with impressive margins of 18%. To provide some background, 1ST is an Australian online healthcare portal that simplifies and facilitates digital interaction between health services and consumers using cloud-based solutions including online search and appointment booking services. The three months to September 30, 2016 featured a 400% increase in new consumer registrations, a factor that will be significant in terms of laying the foundation for recurring income. It is still early days in the life of this company, however, and thus professional financial advice should be sought of considering this stock for your portfolio. 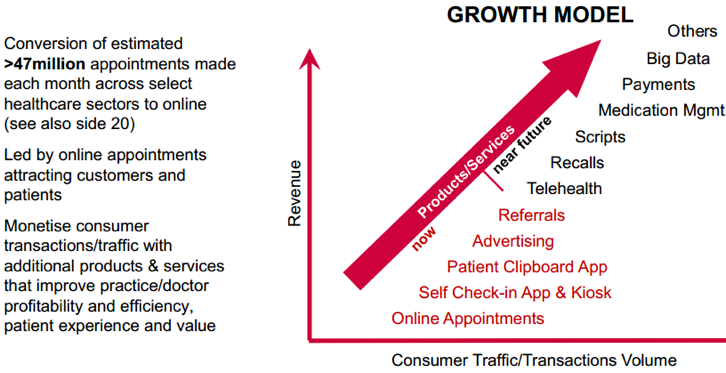 While 1ST has demonstrated it can generate strong organic growth, management’s decision to diversify its revenue streams, particularly into the dental and optical sectors is viewed as a particularly astute move given it provides additional revenue streams and softens potential volatility that can occur when over reliant on any one sector. Odell touched on this factor when reaffirming his buy recommendation saying, “The securing of 150 new optical stores in the quarter and the addition of another large dental corporate points to developing momentum in these segments”. 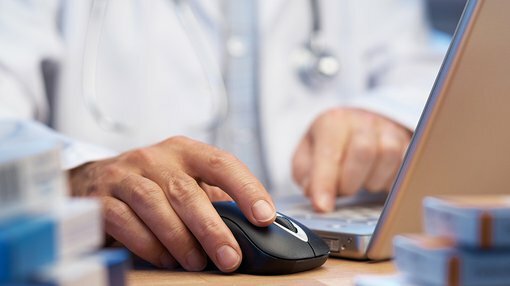 He also highlighted the fact that less than 3% of Australian healthcare providers are utilising an online appointment booking system, suggesting 1ST and other providers are tasked with increasing the online booking penetration rate closer to circa 60%. Odell sees the nascent market as there for the taking, estimating the market opportunity as more than $300 million based on an assumption of 30% market share. He also noted that further opportunities could emerge in optical and dental, while its technology could be just as easily adopted by vets and pharmacies. Historical share price trading patterns are not necessarily an indicator of future performance and those considering this stock should not use this as a basis for an investment decision. Investors considering this stock should also note that broker forecasts may not be met and independent financial advice should be sought before investing in this company.